Malare ninne kanathirunnal is the latest super hit malayalam movie song. Its from the movie premam and its received by the malayalam music lovers. 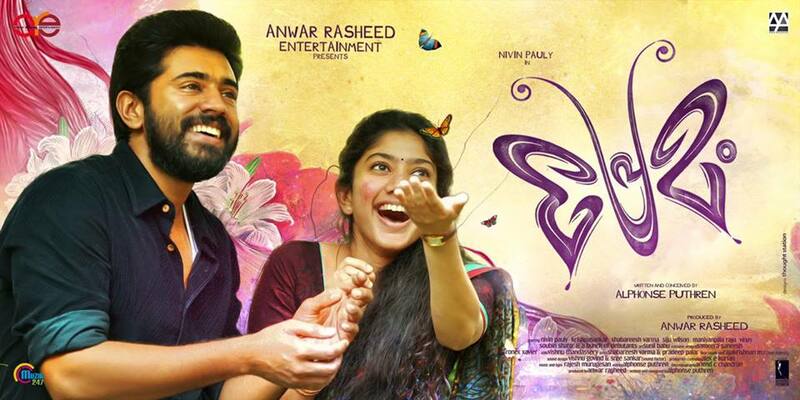 Premam movie released few weeks back and its running with tremendous reports. Premam already created record collection reports from the release centers. Recently premam released in outside India and gulf countries. All the music lovers are now searching for malare song lyrics. You can check the full lyrics of Malare song from Premam. its written by Shabareesh varma, he had also done a major role in the movie premam. Sabarish varma is played the role of Shambu in Premam Movie. From Here you can download the malare ninne kanan from premam movie. Malare ninne kanan song become viral and people searching for the download links. Premam movie have officially upload the full songs on youtube. You can check the premam movie songs juke box from youtube. Malare movie video song is not out yet in youtube. director Alphonse puthran quoted in facebook that they will soon upload the video song of malare ninne kanan. sai pallavi is played the role of Malar in premam movie. Within short time sai pallavi earned lakhs of fans through here character malar. malare song lyrics in malayalam font can be read by clicking the image. It will enlarge the full text in malayalam and you can easily get it. download malare song lyrics can be done from that image. if you are addicted to the song malare ninen kanan can check the full text in malayalm here. All the songs from premam movie entered the hit charts. All the songs are written by sabarish varma and Pradeep Paalar. This is the second movie of Alphonse Putharen after Neram. Premam movie staellite is not sold yet and channels are trying to get it. You Can Get The Complete Lyrics of Latest and popular Malayalam Songs In Malayalam Font Here. You can download the complete full lyrics of latest malayalam movie songs from here. We have published articles about free to use applications for type malayalam. you can check the details of malayalam typing tools, download full malayalam fonts etc from here. We have published several articles related with typing malayalam in your mobile phones and desktop. we have posted about applications for writing malayalam in mobile phones and other devices. © 2019 - Malayalam Typing. All Rights Reserved. free online malayalam typing tools and application for desktop/smart phones.